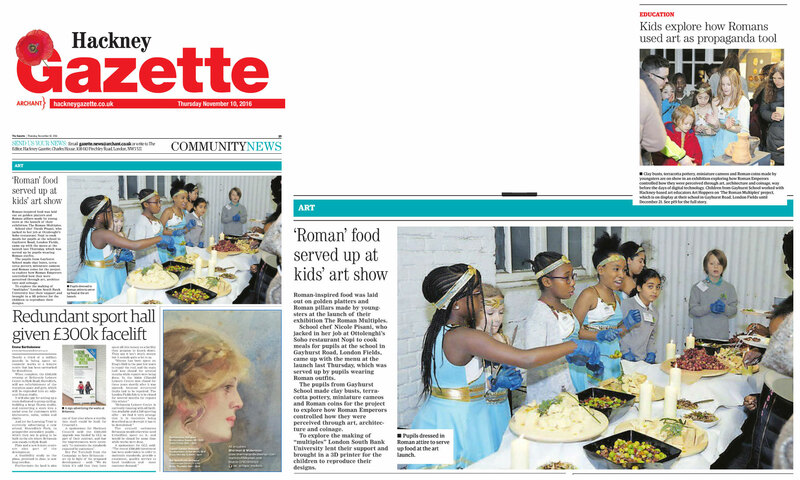 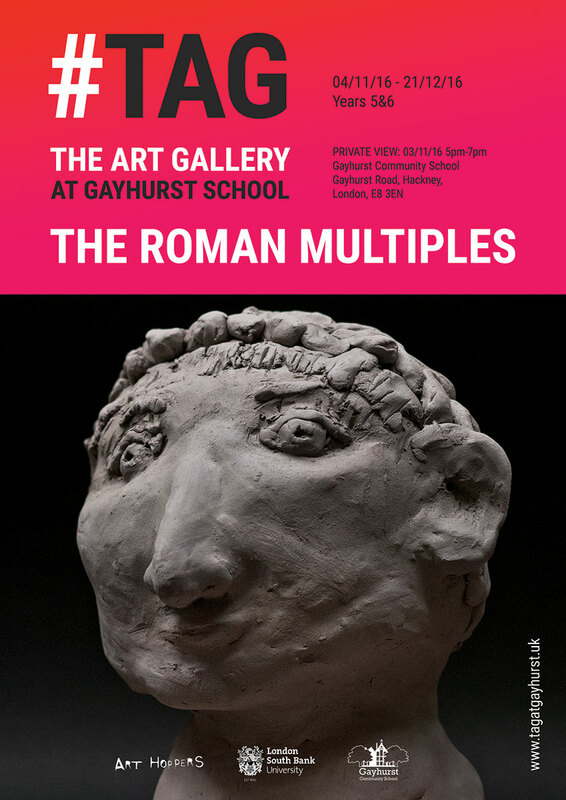 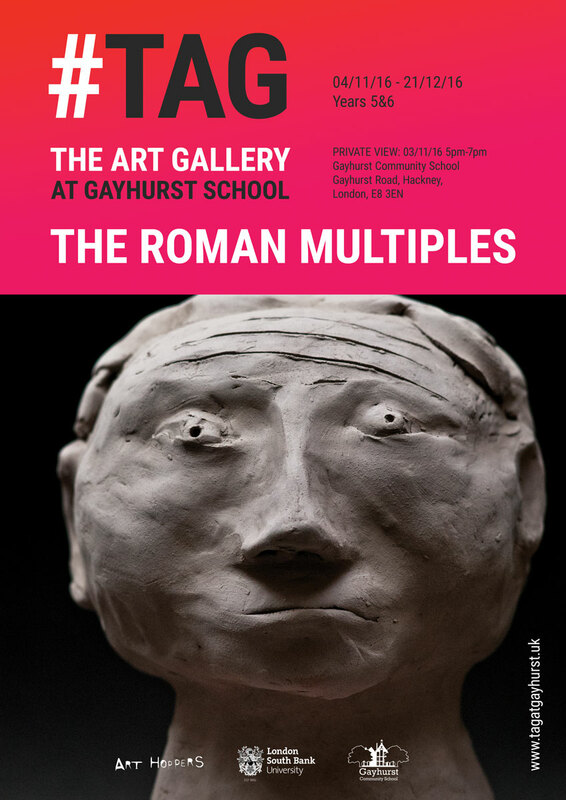 #TAG.01 – The Roman Multiples is part of our partnership with Gayhurst Primary School, where we have set up #TAG (The Art gallery). 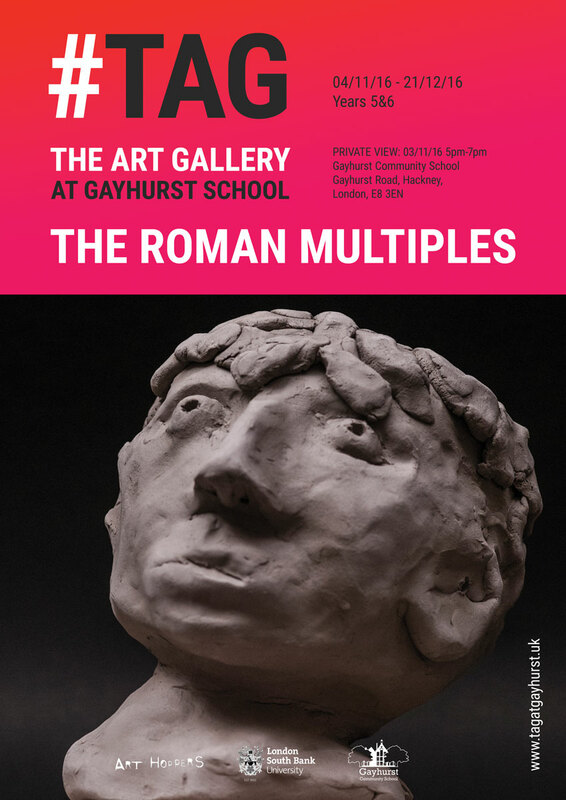 We’ll be featuring 3 exhibitions along this curriculum year. 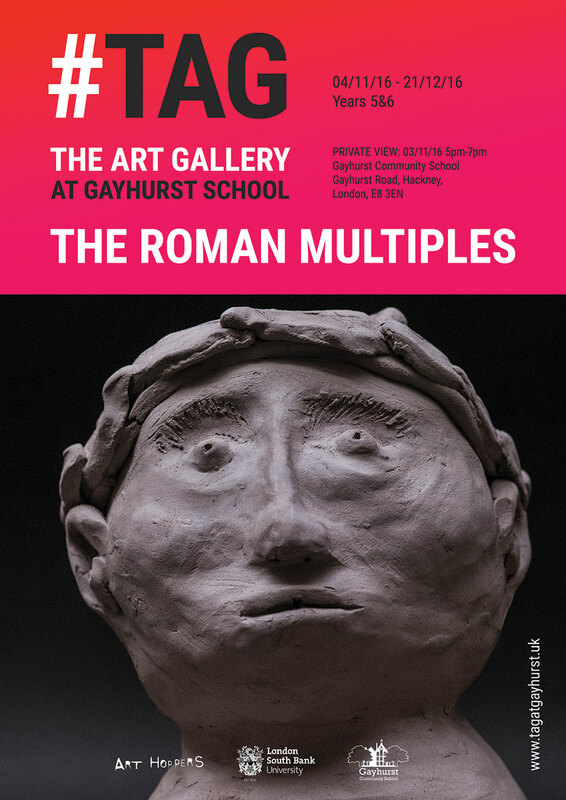 The exhibition #TAG.01 – The Roman Multiples (04.11.16 – 21.12.16) celebrates the artworks of children from years 5&6 and is based on their history topic The Romans. Here, we take a leap back in time, way before the days of digital technologies and discover the nature of ‘selfies’ amongst the Imperial families of the Roman Empire when Augustus was forever young! 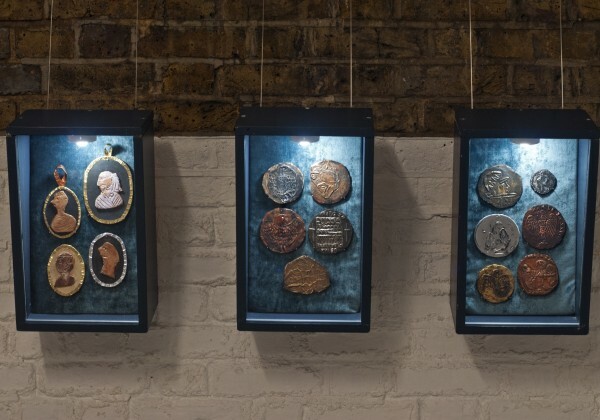 The exhibition looks at the power of propaganda applied through art, architecture and coinage which secured public loyalty toward the ruling elite. 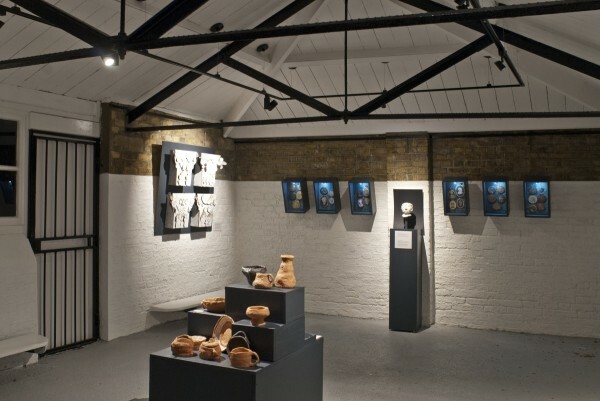 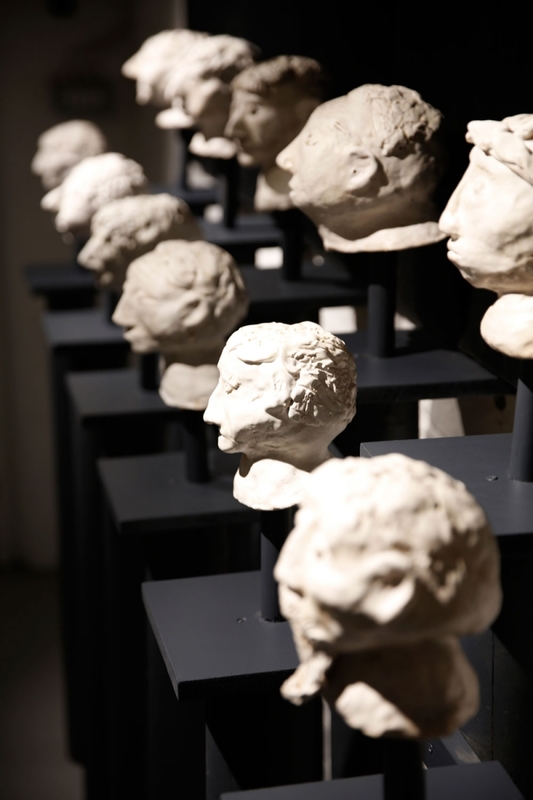 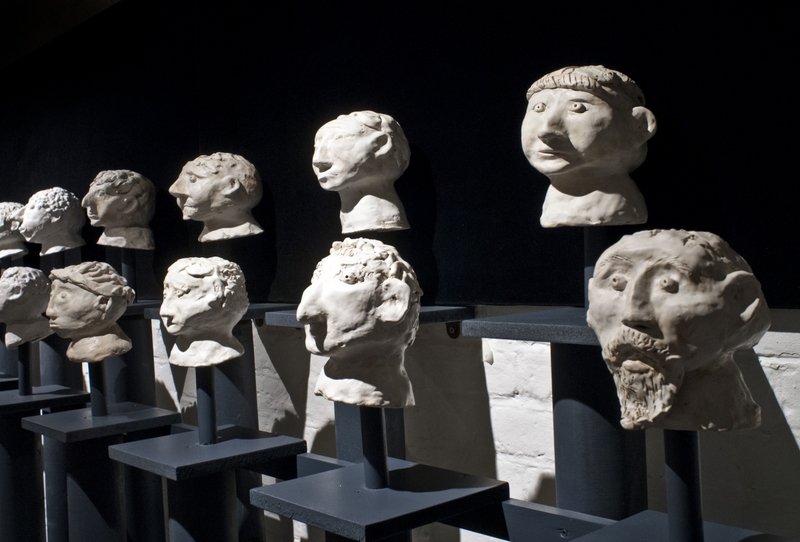 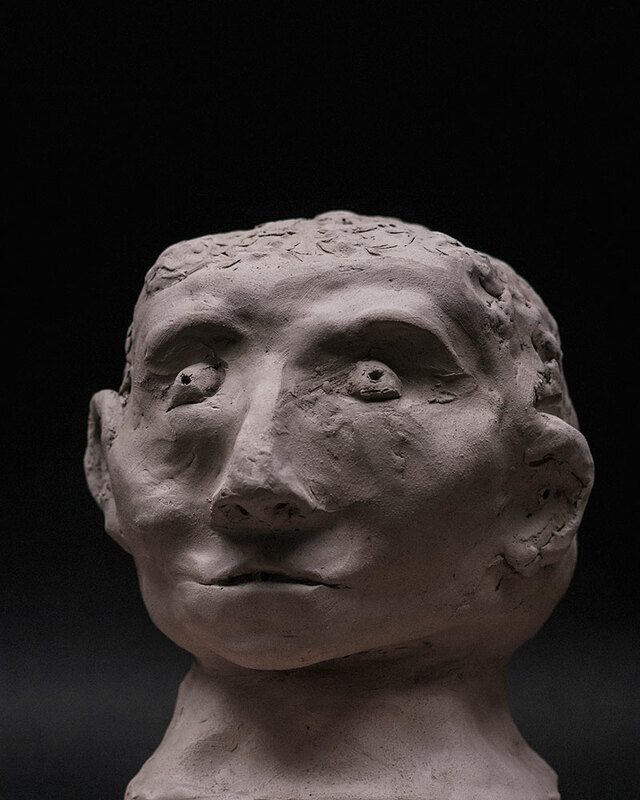 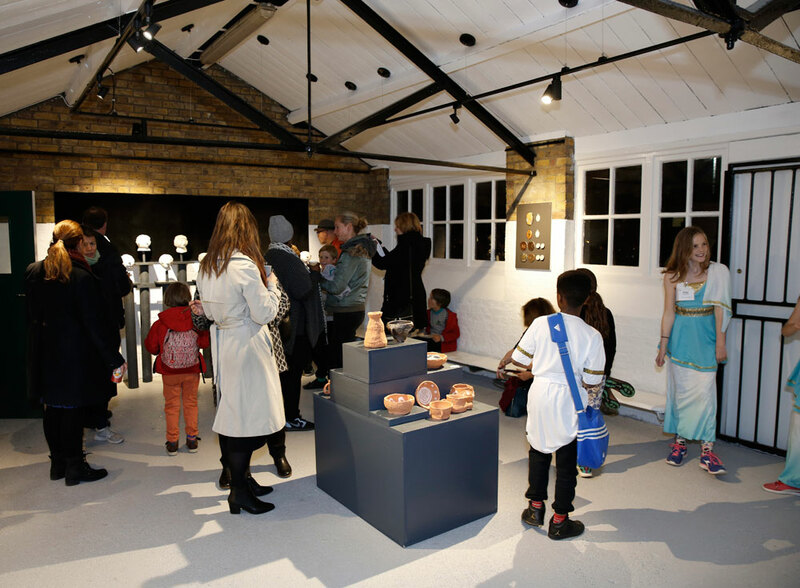 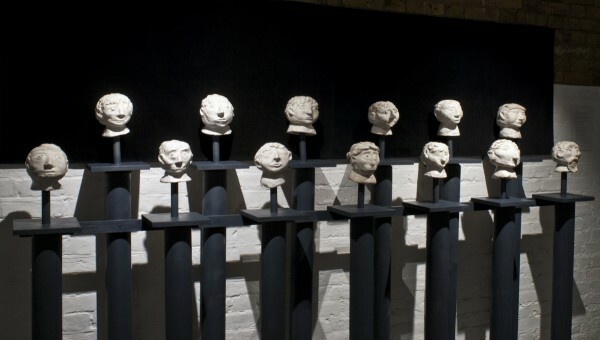 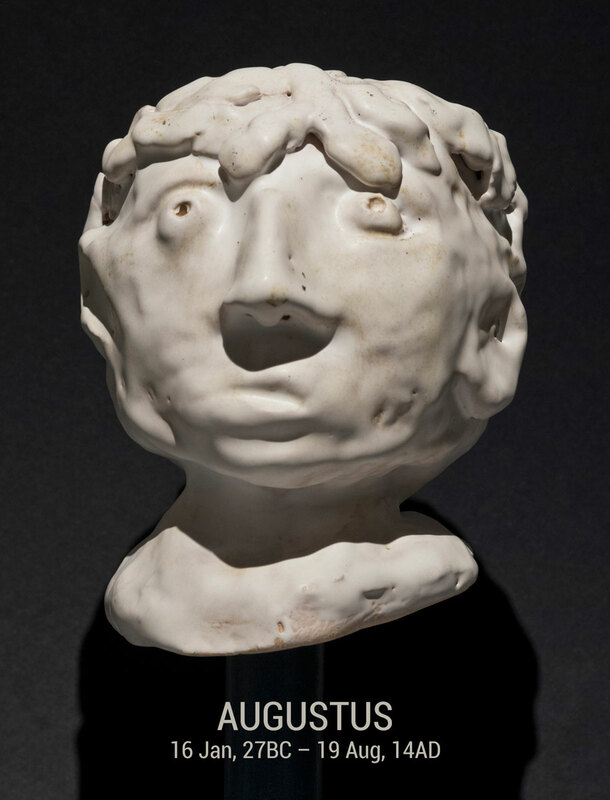 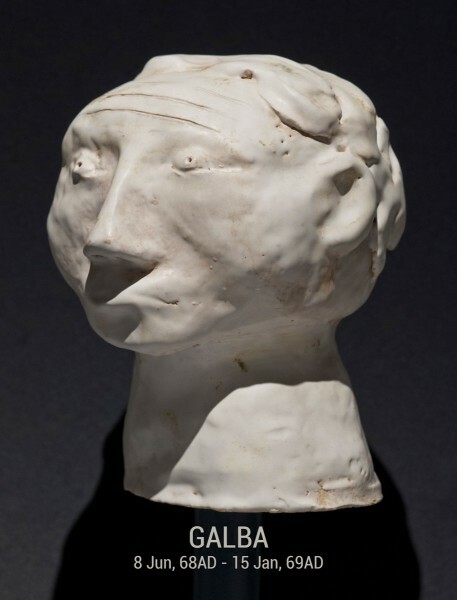 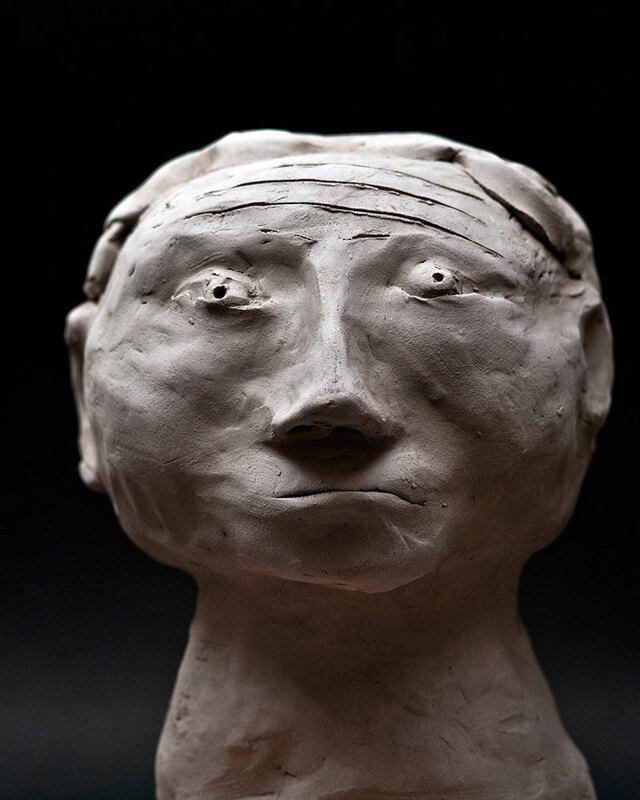 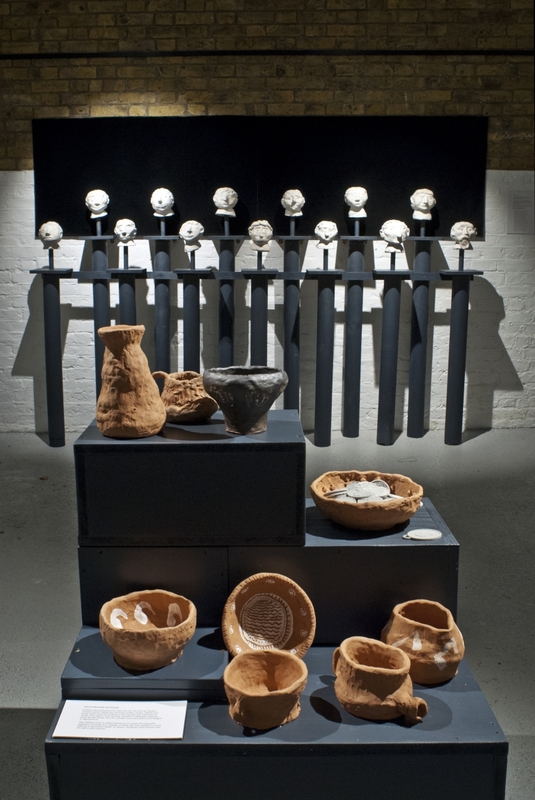 The exhibits include clay busts of the first 14 Roman Emperors and a collection of terracotta pottery. 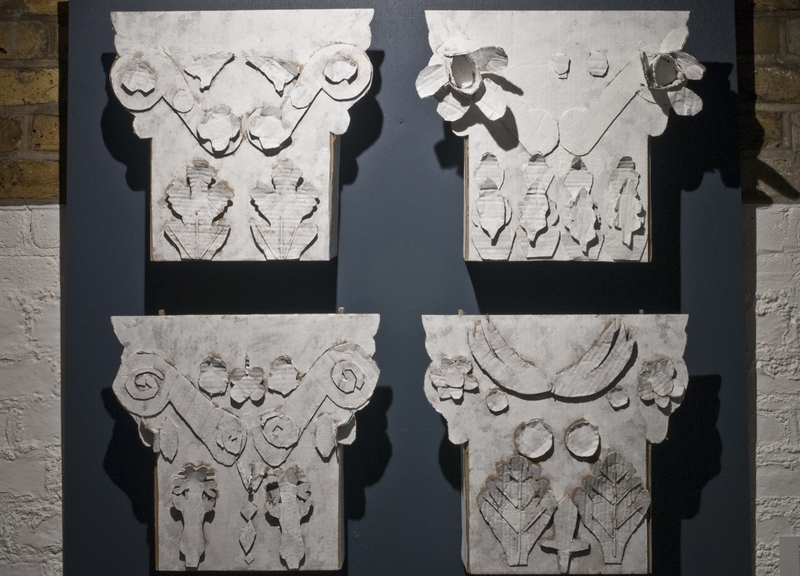 Cardboard capitals in relief illustrate the corinthian style of architecture and a collection of miniature cameos and coins created using embossing foils and polystyrene sheet capture the portraits and symbols of the ancient past. 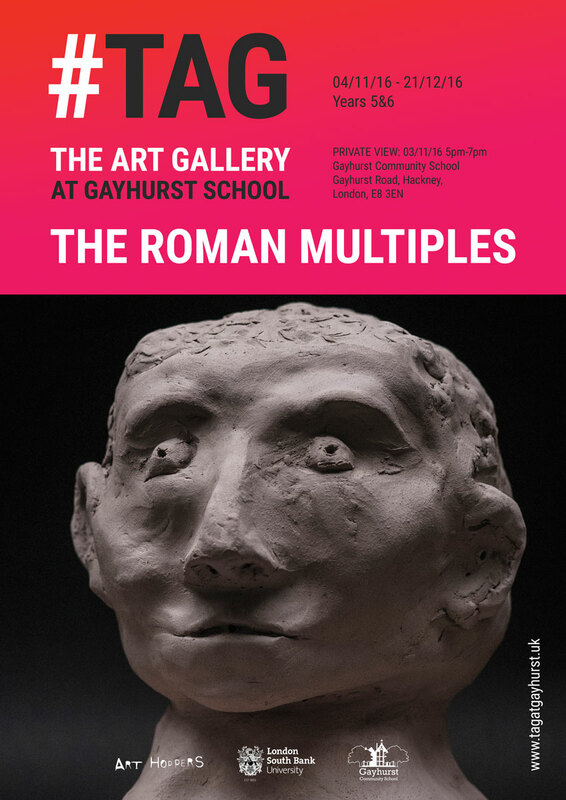 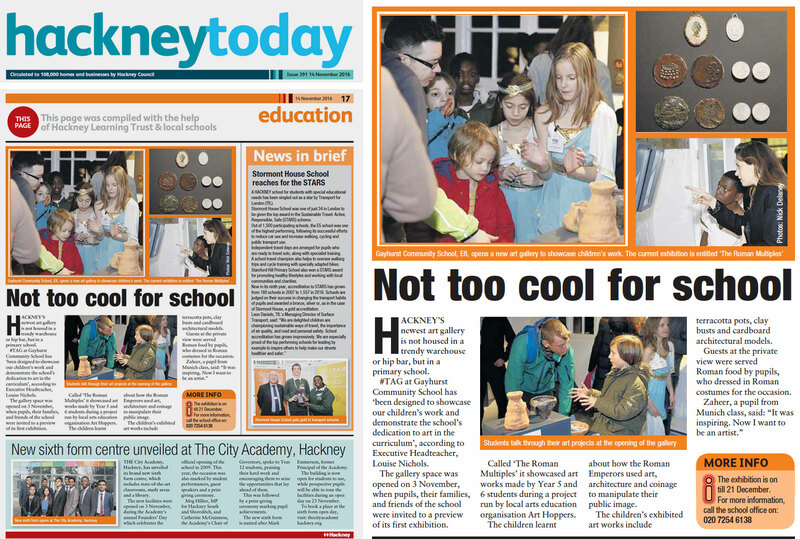 To emphasise the ‘multiples’ we were extremely fortunate to have the support of London South Bank University, thanks to Gayhurst parent Susana Soares, who brought in a 3D printer for the children to understand the process of digital sculpture. 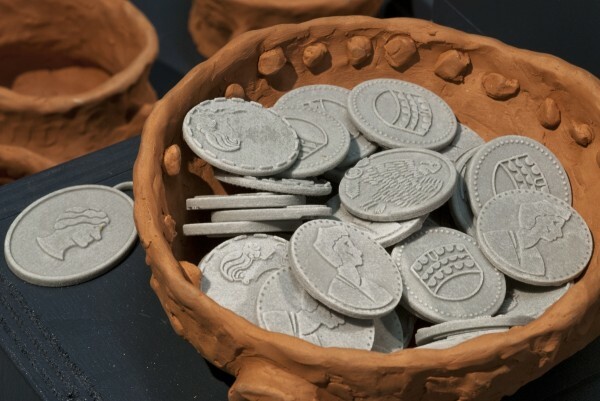 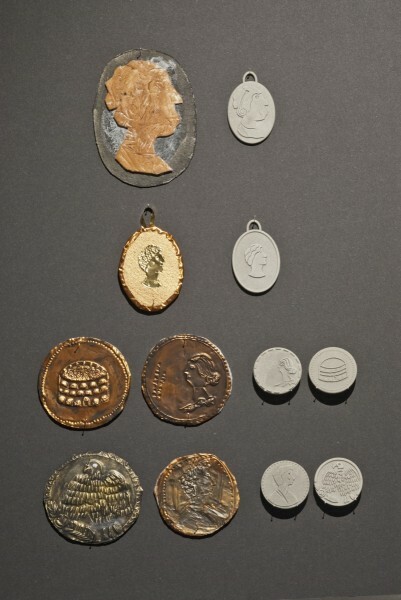 Printed multiples of some of the children’s coin designs make an exciting addition to the collection of artefacts on display and introduce 3D printing as a modern day alternative to the Roman Mint. 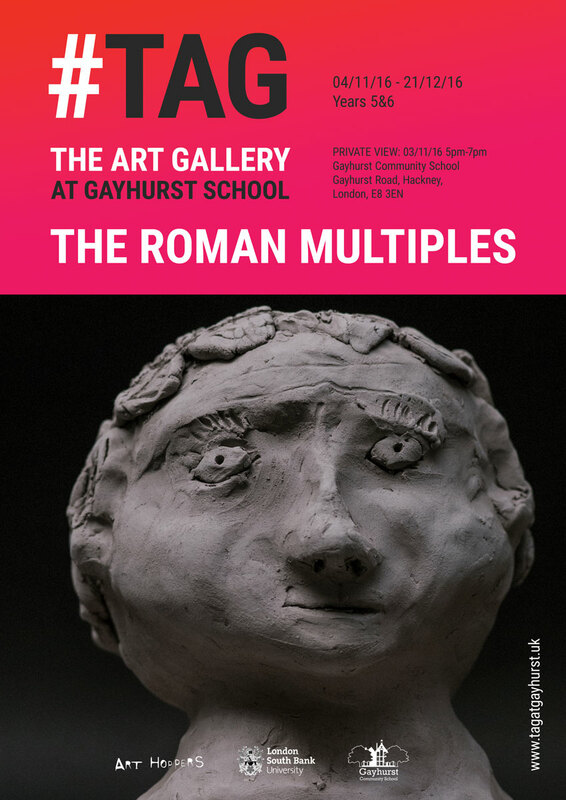 Art Hoppers worked alongside the children from years 5 & 6 in bringing #TAG at Gayhurst School to life for this premier show, the first of three exhibitions to take place during the academic year 16/17. 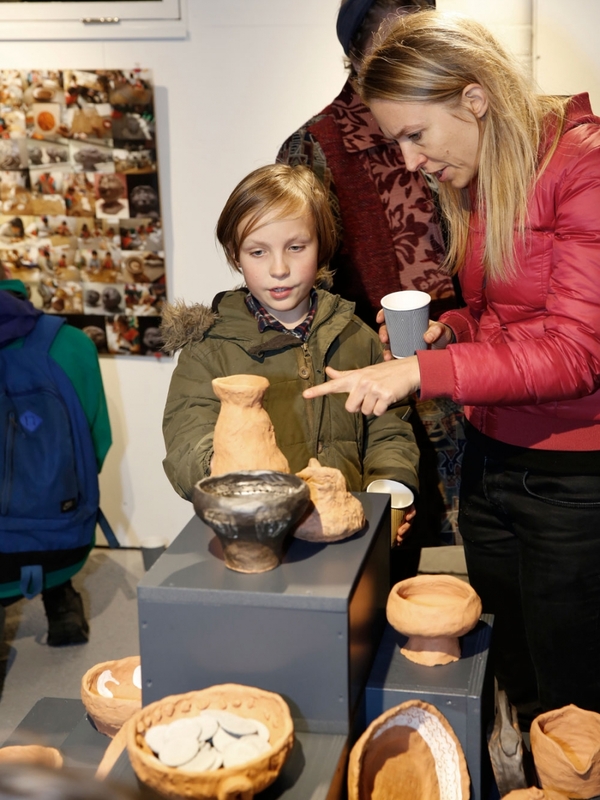 Tapping into the history topic The Romans, Art Hoppers delivered a series of art sessions which brought about the exhibits in the gallery today. 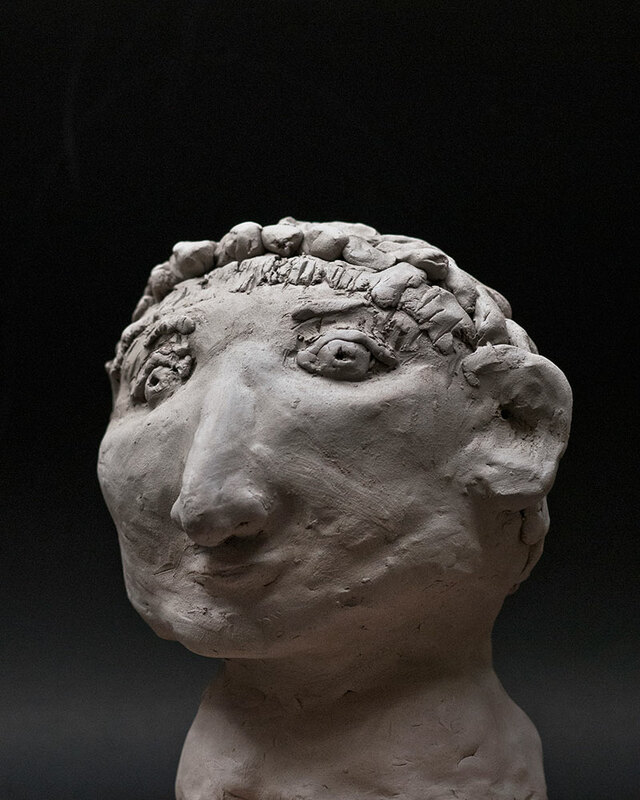 Each art session begins with a brief and interactive presentation leading to practical, hands-on art making. 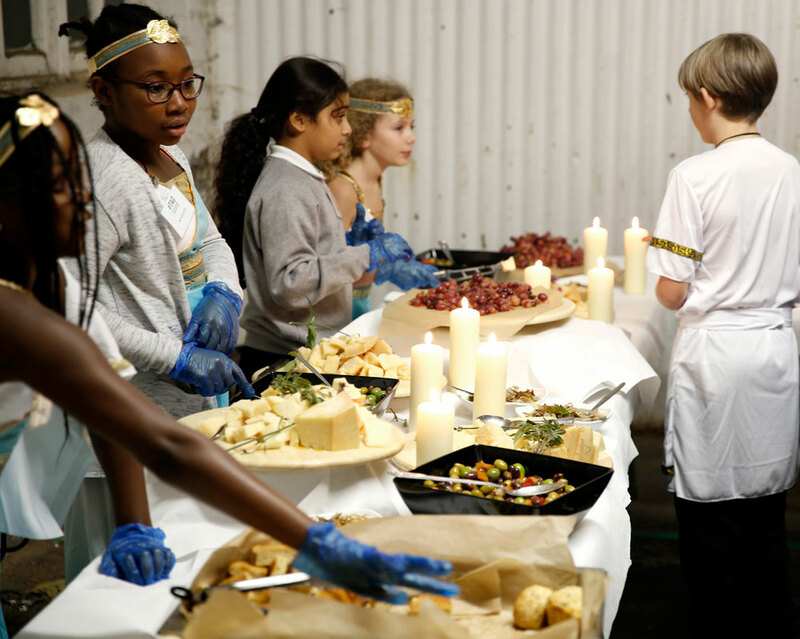 The activities reinforce and bring to life the topic the children have spent the last few weeks studying. 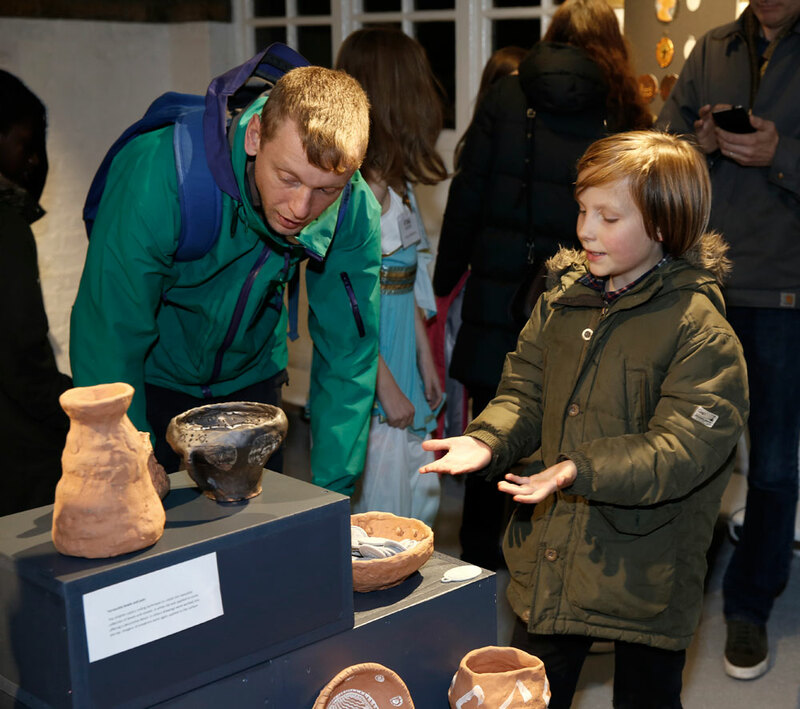 In the case of this first exhibition, the children enjoyed a visit to the British Museum where they observed and drew ancient artefacts relevant to the content of this exhibition. 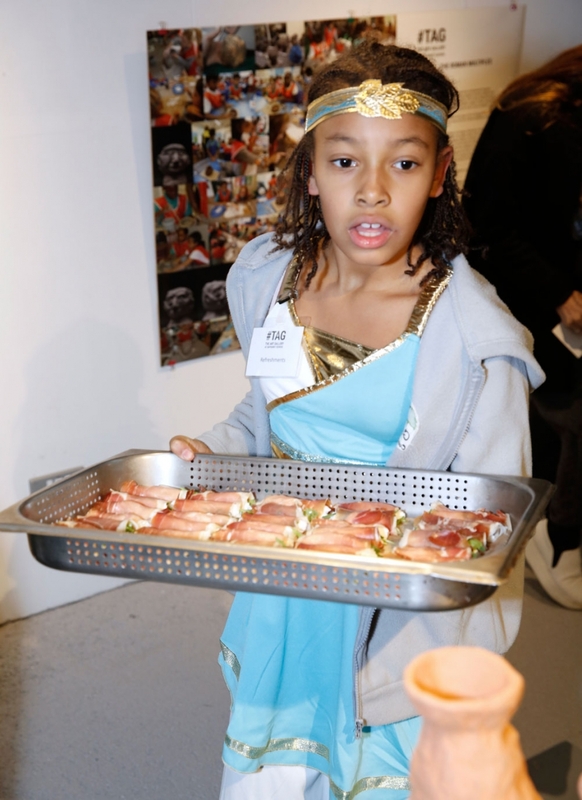 The art sessions allow the children to present their achievements in learning in a visual and fun format. 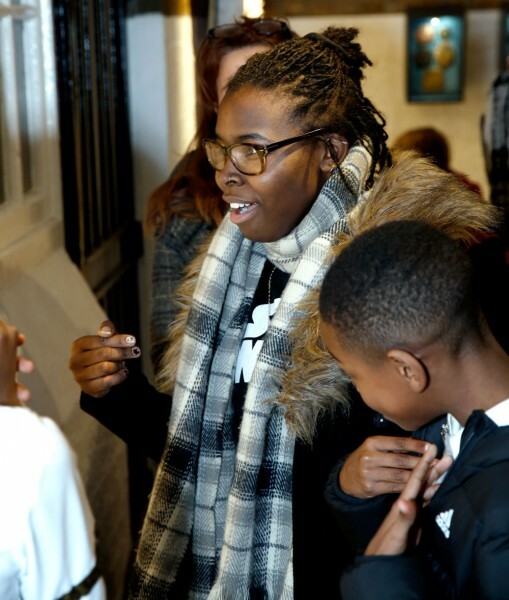 #TAG an acronym of The Art Gallery. 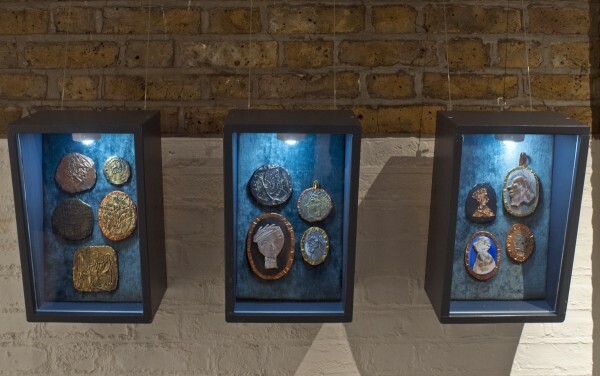 The association with the playground game of chase from days gone by seemed particularly apt for a gallery in a school playground. 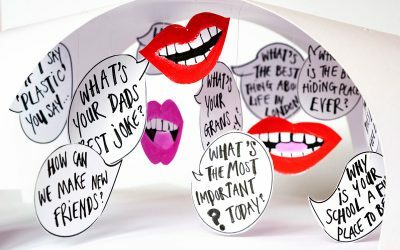 #TAG is simple and playful. Bringing us more up to date, the name plays into contemporary habits around the use of social platforms – the hash symbol being very much a part of digital culture today and directly associated with communication and the sharing of information. Time to #TAG.